Property Assessed Value X Millage rate, (mills x .001) = tax. Comparing Millage Rates for Townships in Chester County we can see that Tredyffrin Township has one of the lowest millage rates for a Township that doesn’t have an Earned Income Tax. Even Easttown Township is 3.24 mills for example. And Radnor Township in Delaware County is 3.01 mills. One source of revenue for Pennsylvania and for Tredyffrin is the Realty Transfer Tax; currently 2% to Pennsylvania and .5% to Tredyffrin on every real estate transaction, split between the buyer and seller. Our taxes consist of County, Township and Schools. Chester County reassessed property values back in 1997. Every MLS Sheet will show the property assessment for that property. Give me a call if you want a copy of your information. 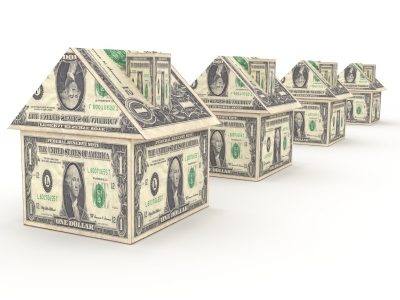 Periodically Pennsylvania tries to increase the Statewide Realty Transfer Tax (RTT). As reported on the new Pennsylvania Association of Realtor Blog, the RTT is down 20% across the State. But still Pennsylvania is holding the line on taxes, for now. PAR published “Stop Killing The American Dream” awhile ago giving the reasons that an increase in the RTT Statewide or by Municipalities is a very bad idea. Tredyffrin Real Estate And The Woulda Shoulda Coulda! Sounds like a dance. Right? “If you woulda known what you shoulda known, you coulda done different”. Should we have had free concerts in the park? Or a free Community Day considering that Tredyffrin has been drawing down on reserves with declining revenue from property transfers? How Much For Tredyffrin “Lifestyle”? Taxes will clearly have to increase in Tredyffrin Township. The question is by how much? Tough Life style changes are being made in every household today. How much will we love Free Concerts or Community Day it if it’s at the expense of those who can least afford to pay for it? Or if the reserves spend down before the real estate market recovers and taxes have to increase even more? If you live in Tredyffrin and you want a voice, you could have one Monday night. The balanced Budget has to be passed by the first of the year by State law, but it can be amended, especially when the real estate revenue situation improves. And it will. But when? This is not a fun time to be a Township Supervisor with tough choices to make. It’s just one of many flash points in a Township that has a reputation for excellence and for being well managed. The Supervisors Meeting Agenda and previous minutes are posted at the Tredyffrin website so that you can be better informed. When you see me around town, tap me on the shoulder. Say, ‘I know someone who wants to buy a house!” After all, it’s the fiscally responsible thing to do. And there really are some good buys. Then, I’ll take YOU to lunch, but no peanut butter. OK? This entry was posted on Sunday, December 14th, 2008 at 10:08 am	and is filed under Chester County, Financial. You can follow any responses to this entry through the RSS 2.0 feed. You can leave a response, or trackback from your own site.